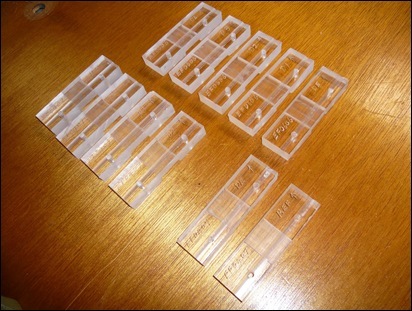 Lawrence 2E0LCM has created a great animated video from his photo collection. 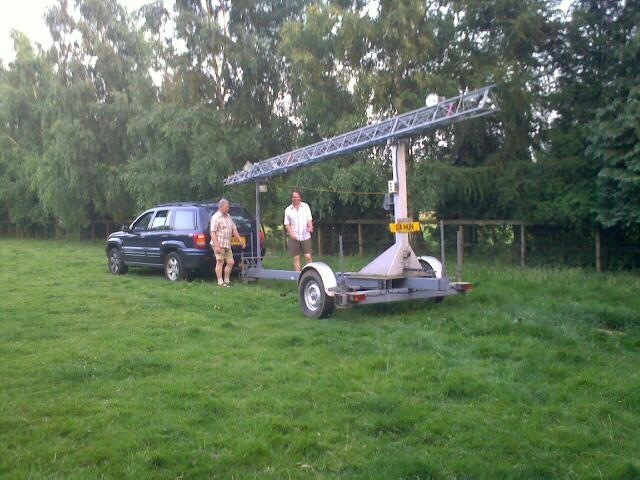 Lawrence 2E0LCM Neil G4HUN and Bob G1SAA started the afternoon off by meeting up at Foxton to pick up the trailer with the 2 Scam 12m pump up masts kindly loaned to us for the weekend by CDARC.These were then transported to the field day site at Brinkley. 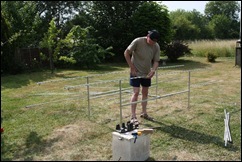 We started to put up the antenna’s at the field day site today about 1600. 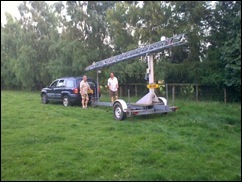 The first thing we did was to get the 60 foot tower positioned and this took some time to get setup and get the levels right.Colin G4ERO arrived with the 4m beam and the 4X23cm beams and the stacking frame and a petrol generator.The 23cm antenna’s were fitted the the stacking frame by Colin and Lawrence.The 4m beam was also assembled and put to one side ready to be mounted on one of the towers. 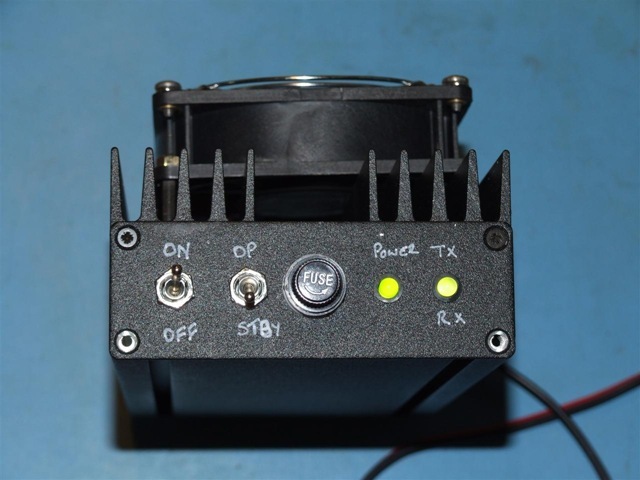 The 60 foot tower will have the 2 17 element 2m Tonna antenna’s on it they will be at 70 foot once the tower is at full height and running the full legal power of 400w we should be a good signal on 2m. More photos to follow later today. 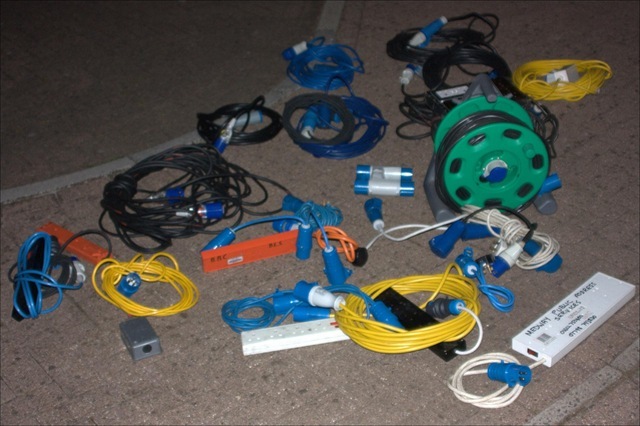 Only 2 days till the start of VHF NFD and I think most things are finished! Phew… A breakdown of todays activities. Martyn G6FSU and Bob G1SAA done a marathon about Cambridgeshire collecting bits and pieces and transporting them to the VHF NFD site at Brinkley, I would guess Bob covered well over 120 miles and towed 2 different trailers, the Camb-Hams mast and Rob M1XZGs car trailer with a generator and other bits. 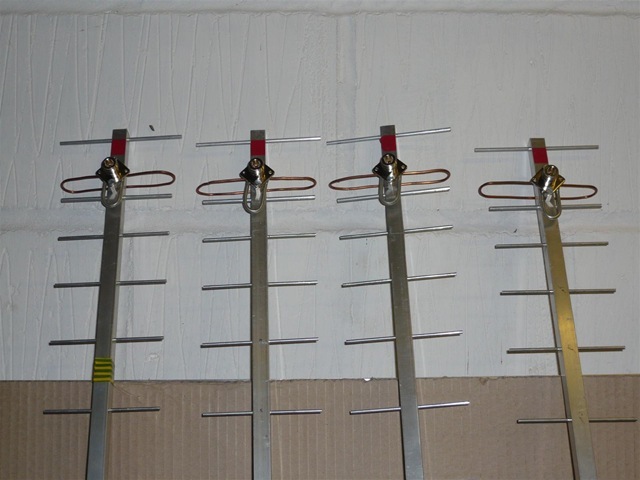 And now we come to antennas. 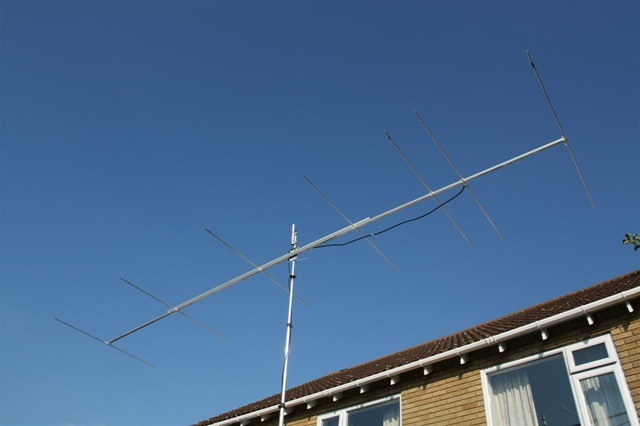 Lawrence 2E0LCM was round at Colin G4EROs QTH to help finish the 23cm stacking frame and test the 4m yagi. 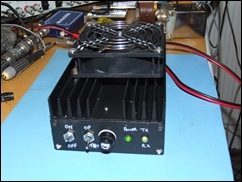 During the evening Gavin M1BXF boxed up the 4m transverter, finished off the 4m amp and tested the system and all working well. 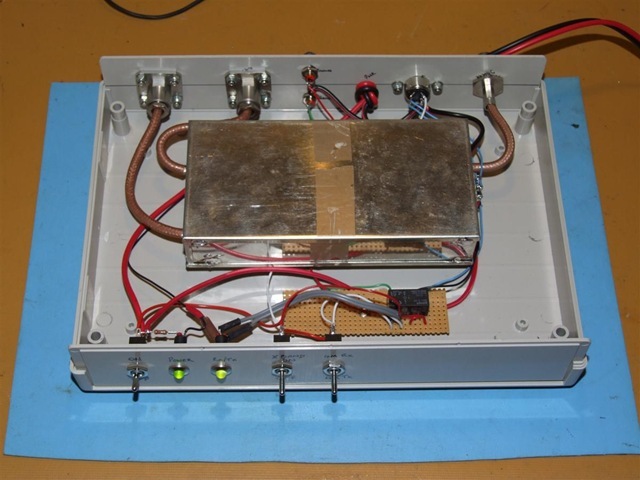 He also re-built the 23cm amp as the previous one is toast, or as good as. Tomorrow is the last day to fully prepare and most people will be onsite by early evening. As with everything there are good and bad nights. Wednesday was a mixture of both. The Good – Pie and Pint discussions were predominantly about VHF NFD and what everyone can do to help us. We had a good sit-down to run through the equipment list which runs to 4 pages! 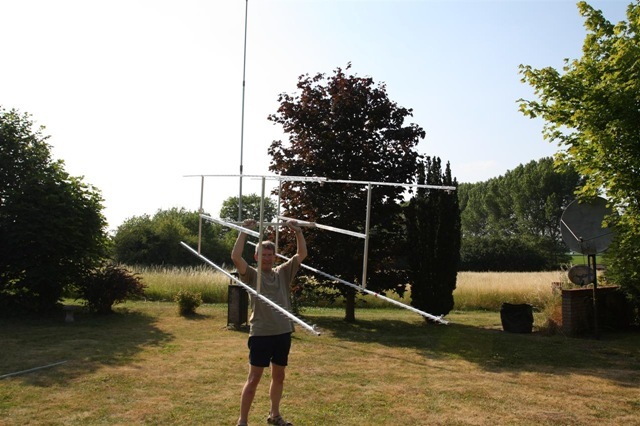 The Cambridge and District Amateur Radio Club (CDARC) have now added their name to the list of supports with the kind offer of their two 40ft pump-up masts, they had already given us their guy rope ground stakes, thanks guys! 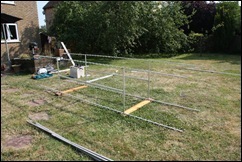 Colin G4ERO has started making the H frame for the 23cm beams, Lawrence 2E0LCM is helping him to finish it all tomorrow. 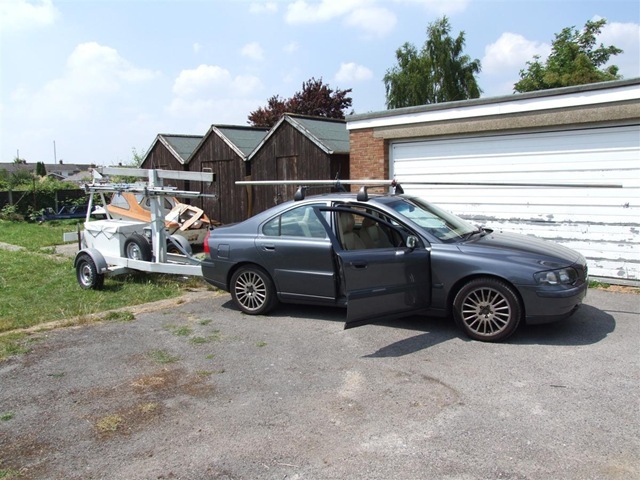 Neil G4HUN and Brian G6HFS are meeting up with Chris Danby G0DWV at Norwich to collect his 60ft trailer mast and Bob G1SAA and Martyn G6FSU will be driving about tomorrow taking bits to Brinkley to store till the weekend. Another good day and night building. 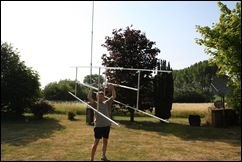 Bob G1SSA was with Colin G4ERO most of the afternoon and have now finished fitting all the elements to the 23cm beams. 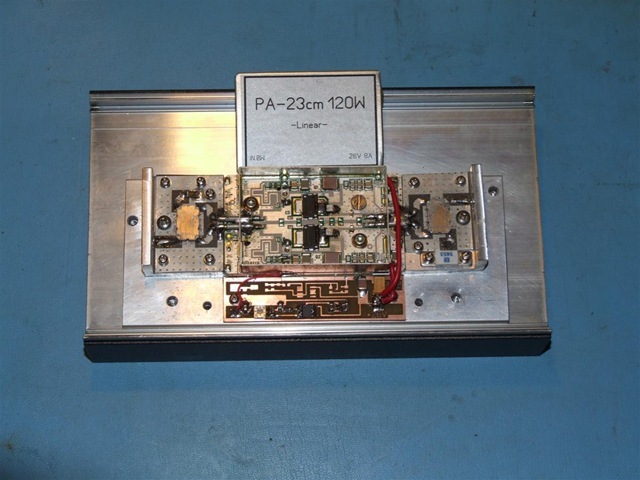 Lawrence 2E0LCM and Voi G0BOE appeared and fitted the driven elements to the beams and all tune less than 1.3:1 on 1296MHz. 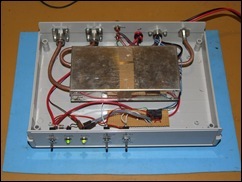 Gavin M1BXF was there also and worked on the 23cm amp. 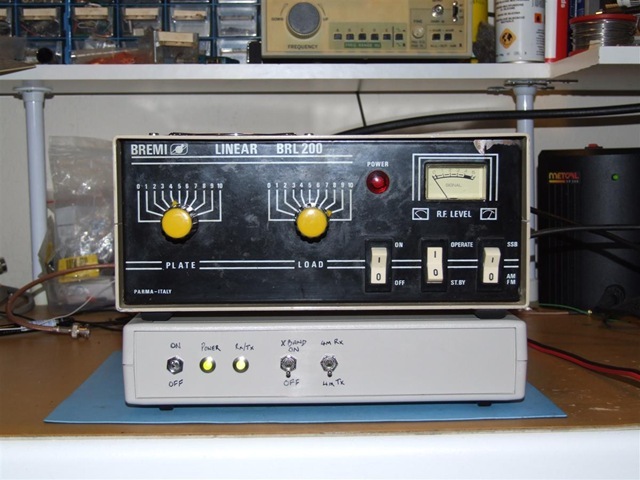 It is now all mounted with the control and switching circuit, RX/TX switching is with an external relay, only need to make some short n-type cable runs to connect the amp to the relay. Also tonight Rob M0VFC has driven to Kent to collect some main cables and other bits for the tented village, quite a round trip! We have also getting a loan of a 3rd Icom IC-910 from Icom UK who continue to support the Camb-Hams! A big thanks to you again! 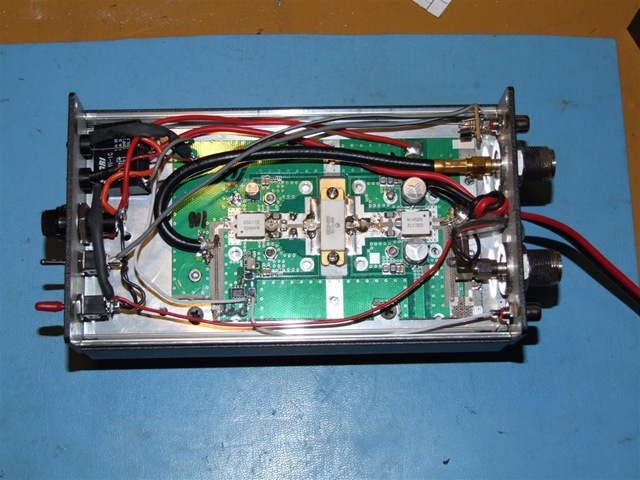 Bob G1SAA, Steve 2E0MVB, Gavin M1BXF arrived at Colin G4EROs QTH again tonight to continue working on the bits needing done. 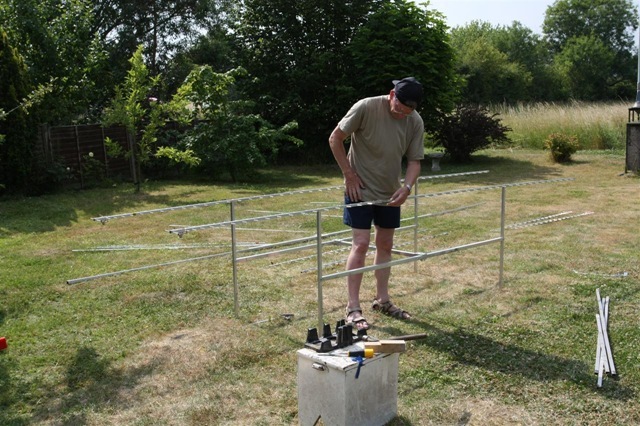 After lots of work Rob M0VFC finished building the four 23cm dipoles. 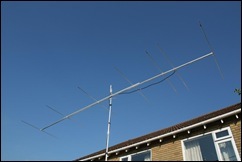 Testing them shows they are a good match on 1296MHz, they now only need mounting onto the boom. 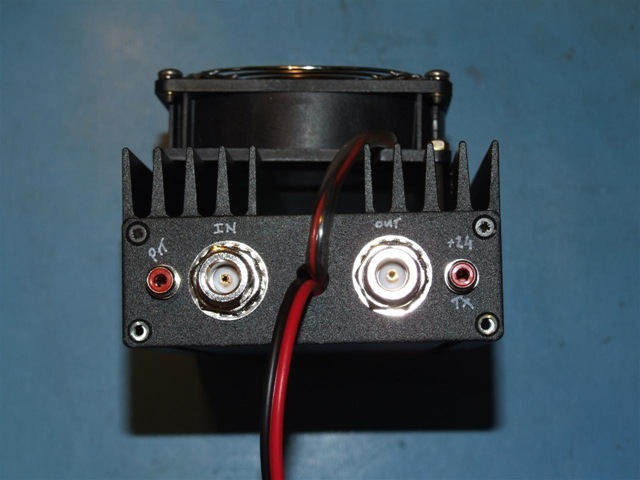 Gavin M1BXF worked on mounting the 120w 23cm PA to the boxed heatsink. There has been loads of preparation going on for the VHF NFD station by many Camb-Hams, something which the group should be very proud of. 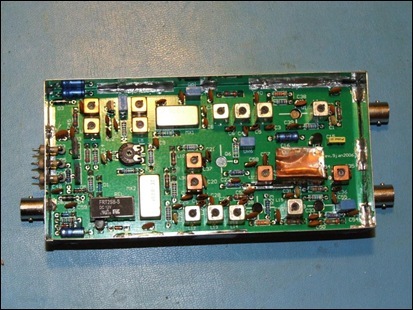 We will be using homebrew amps, transverters and antennas in VHF NFD 2009!!! 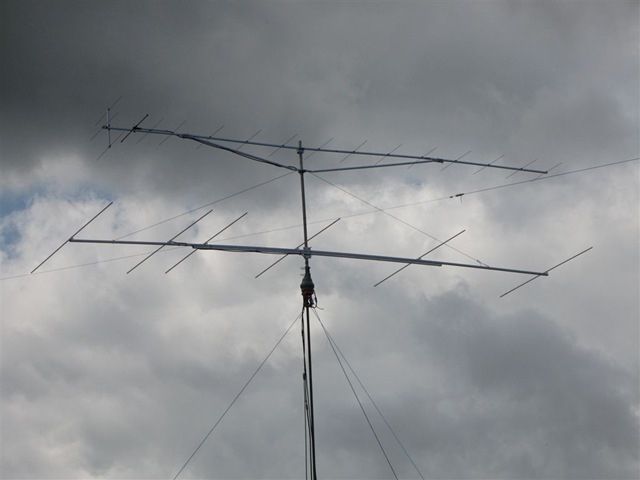 The 6m 6 element and the 4m 7 element antennas are both based on the YU7EF designs. 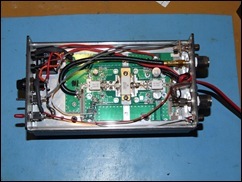 The 6m gives 11.8dB gain and the 4m 12.6dB, both were built from scratch, including the element mounts, by Colin G4ERO. 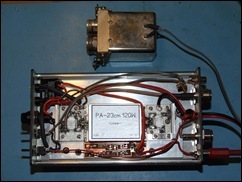 Gavin M1BXF has built an OZ2M 28MHz to 70MHz transverter which will be used with the Icom IC-756pro3. 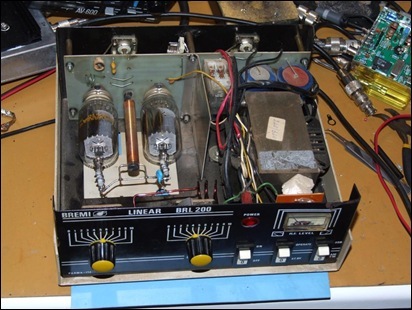 For TX it will be driving a Spectrum Comms 4m linear, built by Gavin also (was used on Harris) but as this only delivers 45w Gavin also purchased and modified a Bremi BRL-200 CB valve amplifier to provide upto 150w+ when driven by the spectrum amp at 15w. 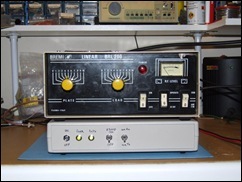 4m is nearly a fully homebrew or modified setup! 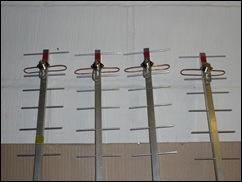 The homemade element mounts for the 6m and 4m beams. 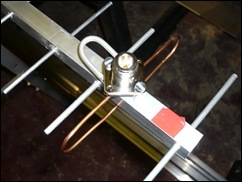 The 6m 6 element beam and one of the 17 element 2m beams. 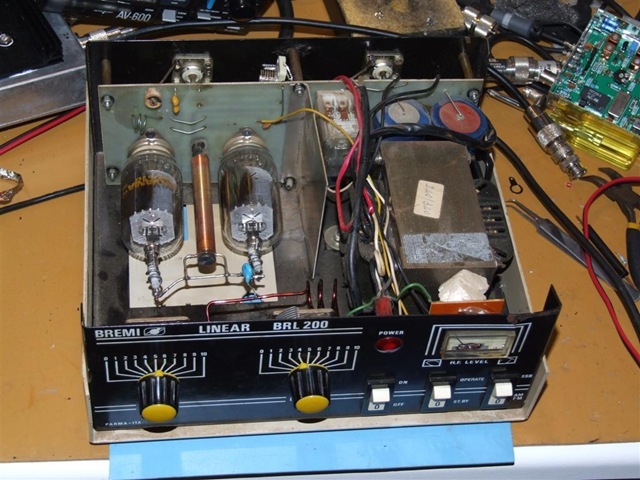 The modified Bremi BRL-200 amplifier for 4m. 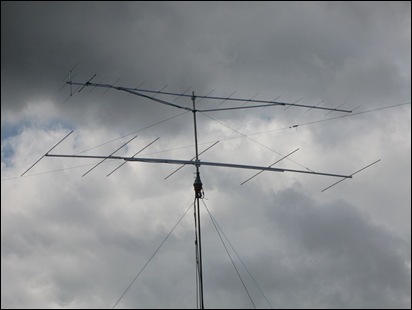 For 2 meters we have two identical 17 element Tonna antennas but one is aging and the boom is bent, Colin has new boom material to remake the boom so we have 2 nearly new antennas, one was newly bought for this years Harris DX’pedition. A 2 way power divider was purchased from RF Hamdesign in Holland. 70cm is using 2 x 21 element Tonnas. 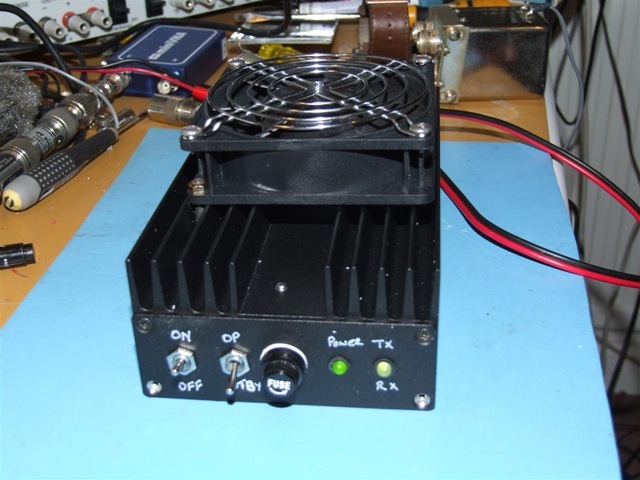 Colin G4ERO has a homebrew 400w amplifier using two 4CX250 valves which he had to fabricate new airflow cooling chimneys for. Very little else needed done to get us equipped for operation on 70cm. 23cm has been lots of fun. Early on we decided to make an effort on 23cm. 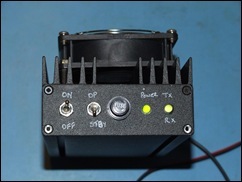 A good supporter of the Camb-Hams Darren G7LWT put Bob G1SAA and Gavin M1BXF intouch with Alan VK3XPD as a good source of high power 23cm amps. 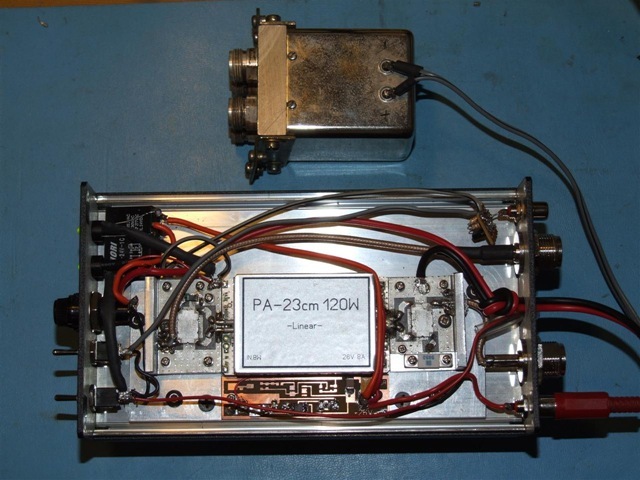 Right enough Alan has supplied us with 3 amplifiers (not all for VHF NFD) able to output about 90w with 10w drive, however at the Friedrichshafen show Bob G1SAA purchased a 120w 23cm amplifier which Gavin M1BXF will construct into a working switched amplifier. So with relatively high power on the band we decided to make decent antennas, this is where the fun began… We found a good article and construction guide for a 47 element yagi by DJ9YW, we decided to make 4 of them! 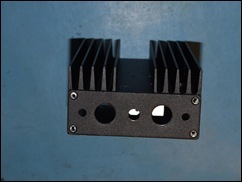 This may sound fun but we had real trouble finding 15mm box section for the boom and 4mm rod for each element. We eventually got pointed in the direction of an eBay trader for the 15mm box section and Colin G4ERO found a supplier of 3.2mm aluminium welding rods which the design included as an alternative to 4mm. 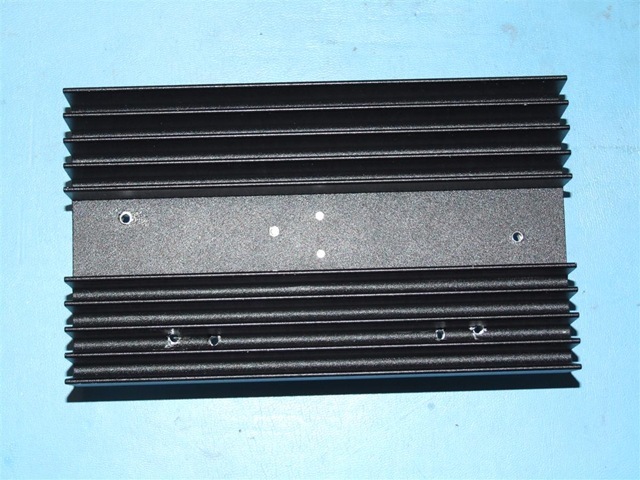 The accuracy of the elements and element spacing is in 1/10ths of millimetres so we have spent many hours cutting and filling the 184 elements to the right length. 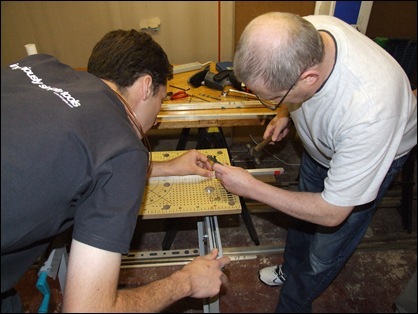 Rob M0VFC, Brian G6HFS, Colin G4ERO, Bob G1SAA and Gavin M1BXF have all helped in the construction of the 23cm yagis. Rob M0VCF is also constructing the 4 folded dipole style driven elements. 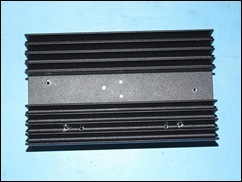 A 4 way power divider for 23cm was also purchased from RF Hamdesign in Holland. Rob M0VFC (L) and Brian G6HFS (R) fixing the elements in the 23cm booms. At the same time Dave M0VMC has been modifying the Camb-Hams rotator to allow position feedback so it can be used more accurately and with PC control in the future. 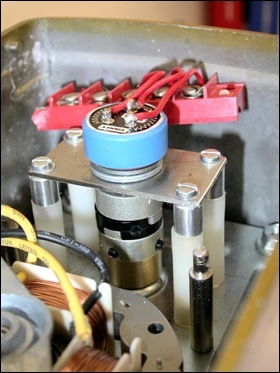 The position feedback pot fitted by Dave M0VMC.